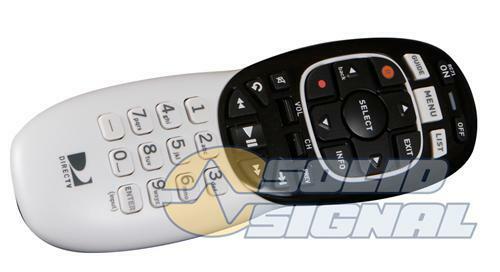 Will your DIRECTV remote control other devices over RF? Sorry to burst your bubble right out of the gate… but no. While DIRECTV’s amazing little Genie Remote lets you control your Genie DVR or client using RF technology, that capability can’t be used with anything else. With RF technology, you can mount the receiver behind the TV or in a closed cabinet (with plenty of ventilation please) but even if you have another device that can work with an RF-enabled remote, DIRECTV speaks only IR to other devices. Technically, DIRECTV’s remote technology is based on the open XMP standard, and that may mean it’s possible to program another high-end remote to control a DIRECTV box, it doesn’t mean that the Genie remote will use RF for any other device. Hey, in a remote that inexpensive there have to be some tradeoffs, right? The Genie Remote does a fine job of controlling other devices in your home theater using infrared, it really does. It even programs itself and if the devices are connected via HDMI, it even does a fair job of guessing what kind of device it needs. If you are looking for that level of control, though, you have an option: The NextGen remote extender actually converts those IR signals to RF and back, meaning that you can control as many devices as you want. While the base unit comes with a single remote link cable, it can be ordered with cables that control up to 8 devices or you can add a multi-device cable later. This technology isn’t new, but why mess with success — the simple fact is that it works. Can you just take a receiver from a private area and put it in the bar?